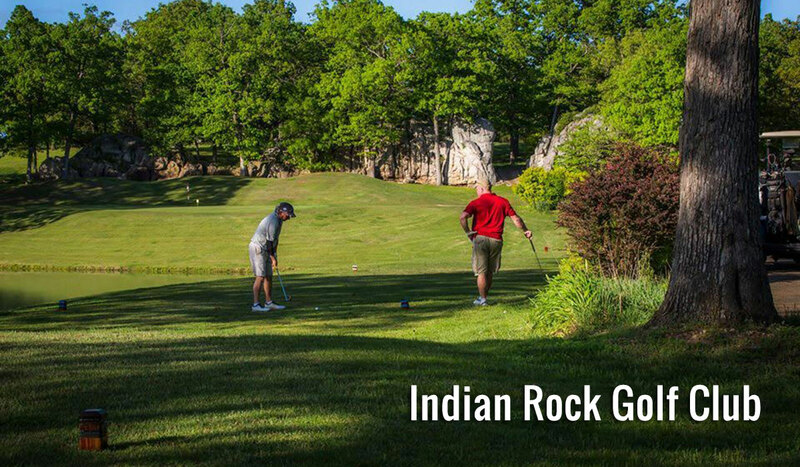 Indian Rock Golf Club is part of a vibrant golfing community at the Lake of the Ozarks. Majestic rock formations guard the club's signature 17th hole while a deep, clear lake guards the front. Golfers will experience Bermuda fairways and tee boxes and bent grass greens on this expansive, 300-plus acre course. Four tee boxes give golfers a choice of what type of course they want to play. Indian Rock Golf Club's full-service pro shop offers clothing, golf equipment, and club customization. The Clubhouse Pub features a full menu and specials. Groups are welcome. We specialize in customizing your group's golf outing experience. Make memories at Indian Rock Golf Club today. We look forward to meeting you! Tee times are accepted up to 30 days in advance. To reach Indian Rock Golf Club from Lake Ozark, take the Community Bridge to Hwy 5 or take Hwy 5 north from Camdenton.